Always keen to impress with designs, Oppo has yet another eye-catching proposition in the R1x. There's more to it than meets the eye though, and under the neat metal case the Oppo R1x is a capable all-round midranger. The R1x first appeared in its homeland as the R1C and was later on re-branded for the international markets. International has dubious meaning, as the device remains elusive outside of Asia. Even there it's pretty hard to find in online stores. Limited availability may be the smartphone's greatest flaw, because the actual package has the looks and specs of a winner. The attractive design has a touch of premium, a recipe for success in the packed midrange where styling often gets sacrificed for better hardware. The Snapdragon 615 is among the most popular chipsets in the upper midrange and here it's backed up by 2GB of RAM, so a good all-round performance is to be expected. There's a 13MP megapixel primary camera on the back behind an f2.0 lens and the front 5MP unit has an equally wide lens for better selfies with available light. We're slowly coming to terms with user-replaceable batteries being phased out in favor of slimmer profiles and premium designs, which are incompatible with a removable back cover. However, the lack of Gorilla Glass is harder to accept in a device with more upmarket aspirations. Android KitKat doesn't look particularly exciting on a spec sheet these days. Will you hold it against the Oppo R1x or can it make up for these shortcomings? The following pages will hopefully help you decide, starting with the usual unboxing and hardware overview. The Oppo R1x comes in rather plain packaging and the accessories are nothing out of the ordinary either. There's an AC adapter rated at 5V/2A with no support for VOOC charging though. There's a meter-long detachable USB cable for both charging and data connections. A headset with a single-button remote and a SIM ejector pin complete the list of essentials. As far as extra items go, the _phone_ has thin screen protectors pre-applied on both the front and rear, but there are no spares bundled. What you'll also find in the box is a frosted plastic bumper case to protect the back and the sides. The Oppo R1x measures 140.6 x 70.1 x 6.8mm which means it's footprint is about average for a 5-incher. On the other hand, at 6.8mm it's pleasantly thin, on par with the Samsung Galaxy S6 and a fraction slimmer than the iPhone 6, both of which have protruding camera units, unlike the R1x. The R1x weighs 130g which puts in on the light side of the 5-inch crowd. Style was obviously a top priority when Oppo went to the drawing board for the R1x. The designers did well and the device is certainly a looker. 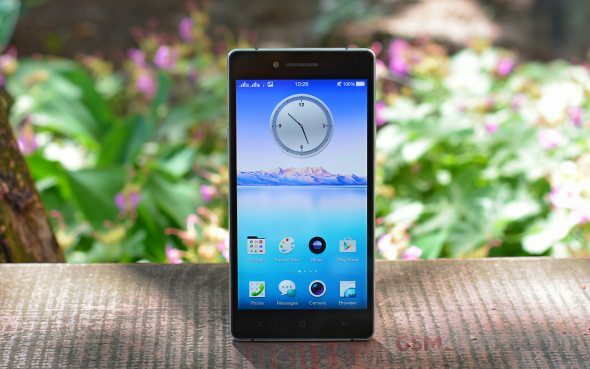 It's a sharp rectangular slab of a smartphone with the corners only slightly rounded. A matte metal frame lines the entire handset, with its own edges finely chamfered. The frame is interrupted in four places, one for the headphone jack, the other three dictated by either antenna or assembly considerations. 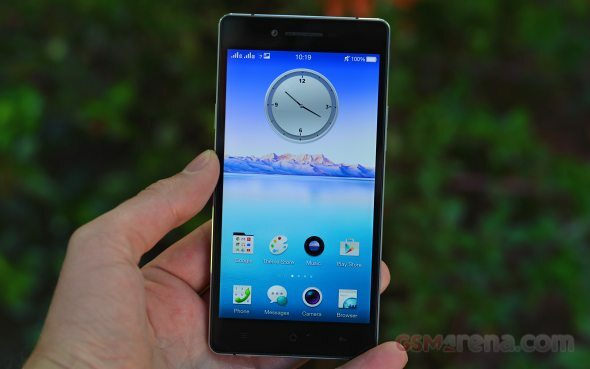 The front is dominated by the 5-inch display, surrounded by adequately sized bezels. The lack of Gorilla Glass protection and the resulting pre-applied screen protector are somewhat questionable on a device which costs around $400. It's the back that gets us all excited though, and that's because of its eye-catching triangular pattern. 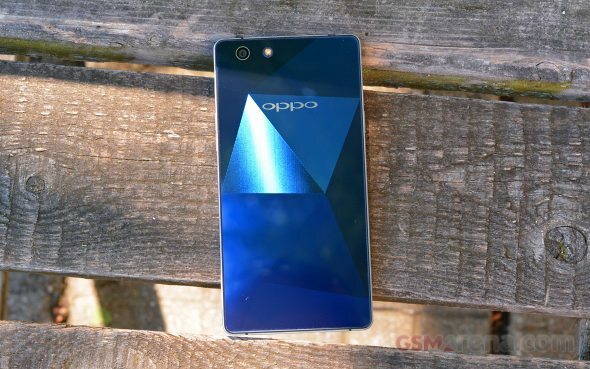 Oppo has employed some sort of UV treatment on the panel and has achieved a faceted sapphire-like appearance. The triangles reflect light differently depending on the angle. It's a very subtle effect indoors, but one you'll certainly appreciate outside. The Oppo R1x has a straightforward set of controls, familiar from other company models. On the front you have dedicated Menu/Home/Back capacitive buttons in the bottom bezel. The top bezel houses the earpiece, flanked by the selfie camera and Proximity/Ambient light sensor assembly. The status LED is in the right corner. The striking back is otherwise pretty bare. There's the 13MP camera module in the top left corner, joined by the single LED flash. The camera lens glass sits flush with the back panel, while the flash required a cutout, and an ever so slight ridge has resulted. The top of the device is home to a standard 3.5-inch headphone jack - at 6.8mm the R1x is thick enough to have one, unlike the 4.85mm R5, which came with a do-it-all micro-USB port. The secondary mic is on top too. On the bottom you'll find the microUSB port in the middle with a speaker grille on each side. The left one is there for the sake of symmetry though, and there's an actual speaker only behind the right one. There's nothing but a power button on the left side of the phone, while the volume rocker and card slot are on the right. The card tray is ejected with the supplied pin, and you can either load two SIM cards or a SIM and microSD. The tray goes in one-way only, but being symmetrical at first glance, you may not get it right every time. If it resists, don't force it, just flip it the other way around. The R1x is pleasantly compact in your hand, largely due to the slim profile. However, the shiny surfaces of both the front and back aren't too grippy. That said, the sharp edges of the screen, together with the metal frame, still make up for a secure grasp of the phone. The display on the Oppo R1x is a 5-inch IPS unit of HD resolution. Not a record breaker, the panel still manages a respectable 294ppi. To be fair, there are competitors with 1080p resolution at this price point. Our microscope shot revealed a standard RGB subpixel arrangement. The panel does have its virtues though, among them the great viewing angles. Even at the extremes, the display remains clearly legible, color stability is excellent and there's only the slightest drop in contrast. Color rendering is quite accurate, no over-saturation. We try to make that sound as a compliment, but fans of that vibrant AMOLED look may not be pleased. There're no color adjustment options in the settings, it is what it is. The test results aren't overly impressive though. At maximum brightness, whites are around the 500-nit mark, which is on the high side of average. On the other hand, the highly lit blacks make up for a rather low contrast. The adjustment slider is virtually linear, and the 50-percent setting halves the illumination of both the whites and blacks, resulting in practically the same contrast. Despite the less than stellar numbers for brightness and contrast, the R1x posted a decent result in the sunlight legibility test. The Oppo R1x has all your basic connectivity needs covered. It's a dual-SIM dual-standby device with both cards supporting quad-band 2G, while SIM1 also supports penta-band 3G and tri-band LTE. The smartphone has Wi-Fi 802.11 b/g/n only in the 2.4GHz spectrum, but does have Wi-Fi direct and hotspot. Bluetooth is the 4.0 iteration, with A2DP enabled for audio streaming. There's no NFC, nor is there an FM radio. Oppo has equipped the R1x with a 2,420mAh battery, which is about average for 720p 5-inchers these days. The Sony Xperia M4 Aqua has virtually the same capacity at 2,400mAh, while the Samsung Galaxy A5 has 2,300mAh. The battery is non-removable. Oppo doesn't have a terribly good track record in our battery tests, and we approached the R1x with caution. The results were varied. Its 3G call endurance wasn't particularly impressive at around 12.5 hours, but it's still more than 50% better than the modest 8 hours quoted by the company, so we could count that in the R1x' favor. As part of our standard battery tests we measure standby time as well, and although it's not explicitly stated on the scorecard, it's taken into account in the overall rating. It was not too good either, with a dual-SIM time just shy of 7 days. On the other hand, both video playback and web browsing are around the 9-hour mark, which is a very good achievement. Overall, if most of your interaction with the R1x happens with the screen lit up, you should be more than satisfied with its battery performance. 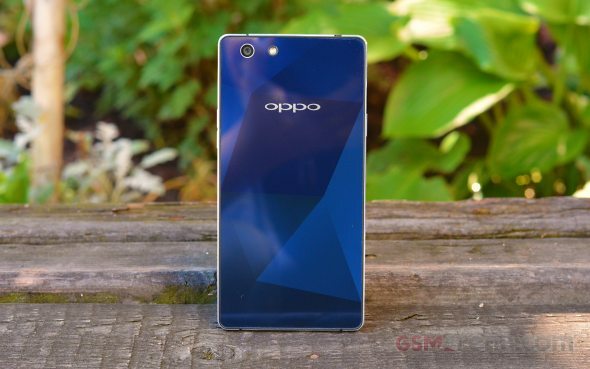 Oppo R1x runs on Android 4.4 KitKat, made unrecognizable by Oppo's proprietary Color OS v2.0.1. The Oppo's launcher customizations run very deep, they keep all Google apps and services, and even bring quite a few of its own - themes support, new lockscreen, homescreen, and settings menu among others. For the traditionalists among you, there is a preinstalled theme called Jelly Bean, which replicates the stock Android Jelly Bean UI for you as close as possible. The Color OS default lockscreen uses swipe gesture for unlocking, though it only works with an upward swipe. You can set up pattern, PIN or password unlock protection. There are shortcuts for the phone and Messaging apps. The lockscreen also has a handy hidden flashlight shortcut - with the screen awake, a press and hold of the Home button turns on the LED flash on the back of the device and stays on for as long as you hold the Home button. As is customary with Chinese manufacturers the Oppo R1x doesn't have an app drawer, so all of your app shortcuts are available on the homescreen, and the apps above the dock are organized in a grid of 4x5. Naturally, you can group your apps in folders the way you like, and widgets are available as well. The second Exclusive space homescreen pane is Music. It features a cool, if slightly unintuitive design with a vinyl for changing the currently playing song and stopping/resuming playback. You can change songs, go directly to the music player or the phone app. Oppo's Color OS supports themes, one of which changes the appearance and functionality of Color OS to match that of stock Android 4.3 Jelly Bean. There are plenty of themes available for free in the Oppo's Theme Store. By default the notification area will show one row of quick toggles, a brightness slider and a shortcut for enabling auto brightness mode, the current notifications plus a shortcut to go into settings. If you do a drag gesture from the quick toggles row you get two more lines of toggles. There's also a Kill all apps button there. A long press on a toggle will bring up its respective settings entry. By the way, you can access the notification area even if you slide down from any empty part of the homescreen (not just the top), which helps single-handed use a lot. The task switcher is pretty close to the one in iOS. All your apps are shown in a horizontally-scrollable grid of thumbnails, which you either swipe up to close or tap to open. A Kill all button sits central on the bottom. Finally, the Gesture & motion menu deserves our attention. For one you can swipe with three fingers across the screen to capture a screenshot or pinch with several fingers to launch the camera and more. The Motion options are very useful, too - flipping the device will mute the ringer, raising the ringing Oppo R1x to your ear will automatically answer the call and more. The Motion menu also offers Air Gestures on the homescreen - you can swipe through the panes with waving your hand over the display. One hand mode is available too, activated by an upward swipe from the bottom left or right corner. When done, this will minimize the UI into a more compact window, possible to use and operate with just one hand. It's a lot like Samsung's feature in the Note series, though without the option for resizing. The Oppo R1x is powered by the popular upper-midrange Snapdragon 615 chipset. It relies on an octa-core processor in a big.LITTLE configuration of sorts with a quad-core Cortex-A53 cluster clocked at 1.34GHz and another quad-core Cortex-A53, ticking at 0.8GHz. The numbers mean it's slightly underclocked compared to the typical 1.7GHz/1.0GHz clock rates found in other smartphones, equipped with the S615 SoC. The benchmark results largely reflect that, though some scores do come out rather surprising, knowing the differences in clock rate. 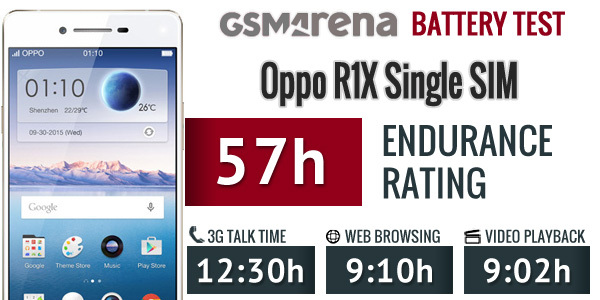 The CPU-centric Geekbench, for example puts the R1x in the middle of the S615 crowd, with Oppo's own R5 significantly ahead, but still beating the Sony Xperia M4 Aqua and trumping the ZTE Blade S6. 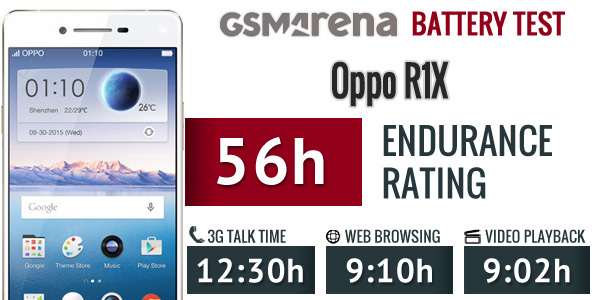 In the compound Antutu benchmark the R1x is again an average performer, outplaying the Blade S6 and the HTC Desire 820, but behind the Xperia M4 Aqua. 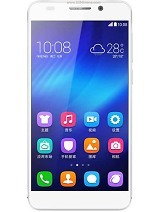 In both tests, the Oppo smartphone lags behind representatives of competing platform in the face of Mediatek-powered Lenovo Vibe X2 and Acer Liquid Jade S, and the Huawei Honor 6, driven by an in-house Kirin 920. What becomes obvious is the clear advantage over the lesser Snapdragon 410 in the Samsung Galaxy A5 and E7. In the next all-round benchmark Basemark OS II 2.0 the Oppo R1x scores consistently with the majority, if marginally ahead, but is nonetheless significantly behind the M4 Aqua. The CPU sections of the benchmark place the R1x lower in the charts. Graphics department has the Adreno 405 taking care of things and it's clocked at 550MHz. Basemark X places the R1x last among the S615-powered devices, with all other one posting 20%-25% better numbers. Little consolation can be found in the fact that the R1x inches ahead of the Acer Liquid Jade S with Mali-T760MP2 GPU. In GFXBench 3.0 the Oppo R1x continues its unimpressive run, again placing last in the off-screen tests, significant margin behind all devices with the same SoC, which score otherwise very similar results. The on-screen figures are more relevant to real-life performance, but the R1x fails to impress here either. The Desire 820 snatches the top position in the T-Rex routine followed closely by the Xperia M4 Aqua. 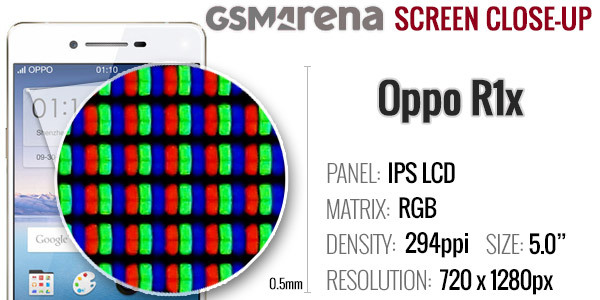 The R1x manages about 20fps, which is the worst result among the S615 devices with 720p screens. The Xperia M4 Aqua proves the smartphone to beat in the more intense Manhattan test and the R1x strengthens its last position among 720p Snapdragon 615 handsets. Overall, the Oppo R1x doesn't deliver the results expected from the hardware inside. It likely has something to do with the low CPU clock speeds and the inclination towards battery autonomy instead of top-of-the-class performance. That said, the phone handles daily tasks with ease and there's no lag while browsing the interface or surfing the web. The Oppo R1x only managed an average mark in our loudspeaker test. What that means is you should keep an eye on it in louder settings to make sure you haven't missed an important call or notification. To be fair though, none of its competitors excels at this test. The Oppo R1x offers a great Swype-enabled keyboard with big keys and they become even bigger when you switch to landscape mode - the wide screen is remarkably comfortable for two-thumb typing. There is an option to change the individual key height in both portrait and landscape, which isn't found that often. Themes are available too. You can also have split or mini keyboard layouts. The Gallery on the Oppo R1x is a custom job, but surprisingly one with less features than the vanilla app. Obviously, Oppo has approached this interface with a less-is-more tactic. The default view is a grid of folders, with a name and number of images for each folder labeled underneath. You can't filter images by location, time, people or tags like you would in the stock app. Images inside folders are arranged on a rectangular grid and you have two options - image selection mode and start a slideshow. You can select multiple images (folders too) and then Share and Delete options become available. The image editor offers light adjustments that let you bring out the shadows or the highlights, you can apply effects, color styles, red eye correction, straightening, sharpening and face glow (which detects faces automatically). Most of these options have a slider that lets you fine-tune the intensity of the effect. 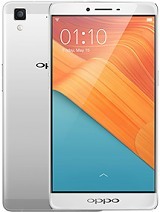 The Oppo R1x comes with a pretty simple-looking video player, which extensive codec support - DivX, AVI, MKV, MP4 files played without a hitch, as did MOV videos. We had no issues playing files all the way up to 1080p resolution. AC3 sound was a no-go, but that's typically the case. The music app supports Dirac HD Audio though there are no other music enhancement options. There's a playback mode button (normal, shuffle, repeat track) and a toggle for audio enhancement. That cycles through Dirac HD on and off. By the way, the music player successfully played a 16-bit FLAC file so there is hardly anything it won't play. When connected to an active external amplifier, the Oppo R1x outputs mostly clean audio but with higher than usual intermodulation distortion. Volume levels are about average so the overall performance here is pleasing. 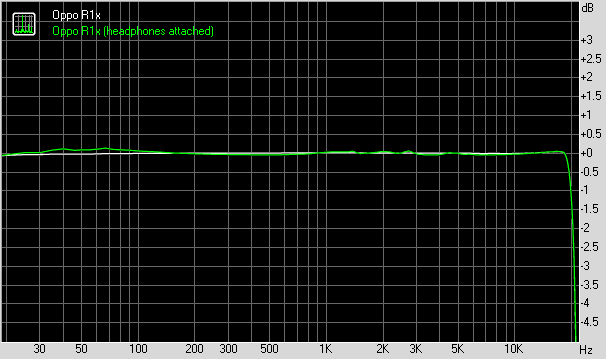 Plugging in a pair of headphones lead to a moderate hike in stereo crosstalk and even more intermodulation distortion. The rest of the readings are mostly unchanged but distortion levels so high would warrant a penalty point on their own. The overall output should still be good enough if you are not among the most demanding audiophiles though. The Oppo comes with a 13MP primary camera, which produces images with a 4:3 native ratio and resolution up to 4,160 x 3,120 pixels. The camera lens has a wide f2.0 aperture which would help when shooting with available light. The interface is straightforward and combines stills shooting and video recording. The app is very rich in functionality too, with RAW shooting, slow shutter and after focus on top of the usual HDR and panorama modes. The modes can be disabled so that only those relevant to you are displayed in the shortcuts. A so called UltraHD mode extrapolates the sensor data to output 25MP images. There's also an Expert mode, which allows for manual focusing, white balance preset selection as well as advanced control over exposure. There's manual shutter speed up to 16 seconds, ISO selection up to ISO1600 and -2/+2EV exposure compensation in third-stop increments. The image output of the Oppo R1x is very good with a lot of detail in high-contrast areas across the frame with only the slightest softness in the extreme corners. Dynamic range is about average for a smartphone, and the fifth sample clearly shows it's limitations in the foliage, rendered almost a complete black. Some may call the colors dull, but we'll use the word undersaturated. While that's not a bad thing all in itself, some users may prefer a more vivid reproduction. It's true that it could be achieved in post-production, and the mere existence of RAW mode suggests a more advanced target audience, a simple slider would have been nice for the less initiated. Exposure is consistent, there is no difference between consecutive shots of the same scene shot several times over the course of a few seconds. The Oppo R1x is also quick to acquire focus and it does so accurately most of the time. Overall the app is also very snappy, provided you stick to the regular modes and not shoot RAW or Ultra HD all the time, but even then it doesn't really get in the way of taking the next shot. We grabbed a few shots in the Ultra HD mode which should come in handy when aiming for large prints. More mature processing will always be available on your computer, but for time-pressing situations it produces usable 25MP photos. The HDR mode in not among the best we've seen. While it does bring out the shadows a bit, it also introduces a strong purplish tint on the images. Some fine detail is lost too, for example in the balcony railings and the foliage in the mountain. That said, it is a marked improvement over the Oppo R5, which applied very extreme processing to its HDR photos. In normal mode the R1x can get very close to the subject and shoot some pretty nice macro shots. If that's not enough, there's the Super macro mode, which fills the frame with even more of the subject. The Panorama mode does a decent job and generates images with even exposure, though there are the occasional stitching artefacts. The level of detail is also not on par with the regular photos, but satisfactory for the purpose. The software limits the sector, which can be captured, to less than 180°, though. The front camera employs a 5MP sensor behind an f2.0 lens and images come out at 2,560 x 1,920 pixels. It has the mandatory beautification feature, which provides a ton of filters and irons out skin imperfections. It creates images with plenty of detail across the frame, all the way up to the extreme corners. Be sure to check out how the Oppo R1x compares to its rivals in lab shots, using our photo compare tool. The camcorder on the Oppo R1x is capped at 1080p/30fps. It does have a slow motion mode, but it's limited to 480p and is barely usable, so we left it out. That's not to say that the regular output is any good, though. Gone is the detail from the still images and the output could pass for an OK 720p video, at best. The limitations in dynamic range are even more pronounced, and colors are similarly tuned down as in the photos. On a more positive note, the focusing mechanism is calm and doesn't try to find changes where there are none. However, the initial scanning of the entire focusing range upon hitting the record button is very irritating. As always, we've provided an untouched sample, shot at 1080p@30fps (00:16min, 20.3MB) for download from our server. Additionally, the video compare tool provides you with an option to see how the Oppo R1x fares in the controlled environment of our studio. The Oppo R1x comes with a proprietary web browser, which has an address bar on top and a navigation bar on the bottom always visible when you scroll. There's a fullscreen mode, though, which hides both and replaces them with a single menu button that makes them reappear when desired. Google Chrome is also on board with all the familiar features, we've come to like and take for granted like seamless integration with its desktop counterpart, data saver, extensive settings and overall uncluttered interface. Perhaps the highlight of Oppo's homebrewed apps is the Security Center app. It lets you control all sorts of features from call/message privacy and Quiet Time settings, to phone optimization and app permissions, app encryption, to network and battery usage. The phone's Guest Mode is also activated from within this app. The Oppo R1x comes with Kingsoft Office preinstalled. It's a pretty powerful office editor that can handle Word docs, PDFs, Spreadsheets and Presentations. It can link to cloud storage, email files, and create a shared view with other users and more. There's editing enabled, too, so you can get some work done on the go, though it's not the most productive experience on this diagonal. The calendar app has three views that you can swipe between. First is the Year view, which aggregates all 12 months with all of their days, a month view, which has little red dots for events and the agenda view, which is a vertically scrollable grid of events. You could try and get the best hardware for the money in the midrange, and not give a second thought to looks and appearance. Or you can spot the Oppo R1x and be tempted to give it a try. The smartphone's far from trivial design is its main claim to fame, and it's not trying to hide it. It stands out from the crowd of nameless black devices with its stunning back which mimics sapphire and plays with light. The finely machined metal frame complements the back panel for a truly premium impression both to the eye, and the hand. The 5-inch display, if obviously less pixel-rich than the current flagships, delivers pleasing colors and great viewing angles. It is however let down by its average brightness and not very deep blacks, which add up to a less than stellar contrast. Supporters of the stock Android interface may not enjoy the ColorOS being skinned inside out, but a pre-installed Jelly Bean-like theme tries to make up for that. By the way, it highlights one of the overlay's main features, high customizability. The dated 4.4 KitKat Android version is one disadvantage we cannot overlook though, and with even the brand new Oppo R7 launching on KitKat, imagine the R1x's chances to get an update. The Snapdragon 615 chipset that powers the R1x is a popular choice in the upper midrange, but Oppo reined the clock rate in and the phone is slightly lagging behind rivals with similar specs. Underclocked as it is though, the R1x easily trumps S410 devices meaning you won't be left waiting for the phone to respond - whatever it is you're trying to do. The 13MP camera creates sharp images with plenty of detail, though some noise is evident as well, and dynamic range is on the low side. Photography enthusiasts will value the extensive manual controls too. Video recording is obviously not the R1x's strong suit though, its output severely lacking in detail. Design is even better in person than in photos, the gemstone effect is an eye-grabber, in-hand feel is superb. The 5-inch display has pleasing colors and great viewing angles, but only average brightness and rather low contrast. Sunlight legibility is good though. Battery life is good, and although the 56-hour endurance rating may not sound like much, 9-hours each in both web browsing and video playback are respectable. ColorOS 2.0.1 is pleasing to the eye and there's extensive theming support, but it's still based on Android KitKat, and knowing how things work nowadays, the R1x may end up stuck in the pre-Lollipop era. Raw performance isn't up to the hardware's potential, either due to the underclocked processor, or perhaps software optimizations, but whatever the case, benchmark results are consistently towards the bottom compared to similarly equipped devices. 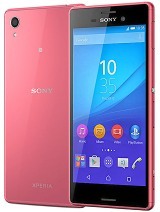 A top competitor for the Oppo R1x is the recently reviewed Sony Xperia M4 Aqua. It has largely the same hardware - S615, 2GB of RAM, 720p 5-inch display, 13MP primary camera, and a dual-SIM model is also available. Where the M4 Aqua trumps the R1x is the IP68 certification for dust and water protection, and it's reasonably cheaper, though prices vary by region. On the other hand, the R1x is smaller, lighter and has that striking back panel going for it. 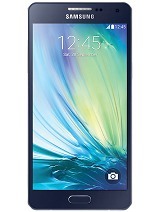 Samsung has the Galaxy A5 priced similarly. While it is a member of the more premium A-series and thus comes with high-quality materials and build to match the R1x, the Galaxy A5 trails in computing power, as it packs the inferior Snapdragon 410 SoC. It does manage to be a smidge smaller in each direction and Lollipop is already seeding for it, which is less than certain for the Oppo. 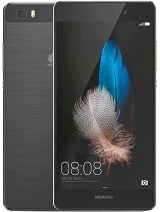 Huawei would argue that you'd be better off opting for the P8lite instead. The otherwise similar spec sheets mark one notable difference and that's Huawei's own Kirin 620, which we're yet to see in action. The P8lite is otherwise an equally well built device, and one which is again cheaper to get, not to mention globally available. Alternatively, you could go for the Honor 6, which packs a lot more punch under its admittedly unassuming styling. It has a 1080p 5-inch display, a Kirin 920 SoC, 3GB of RAM and an ample 3,100mAh battery, but is still the same size and weight as the R1x. The extra cash you pay for the R1x scores you points for appearance though, and that may be all that matters to some. Then there's the Lenovo Vibe X2. Another designer handset, the Vibe X2 has a unique layered look, and if there's a smartphone here, which could rival the R1x in terms of style, that's the one. The Vibe X2 packs a FullHD 5-inch screen and double the 16GB of storage on the R1x, but there's no microSD slot. There is a dual-SIM model though. The price difference is smaller here, but once again it's in not in the Oppo R1x's favor. 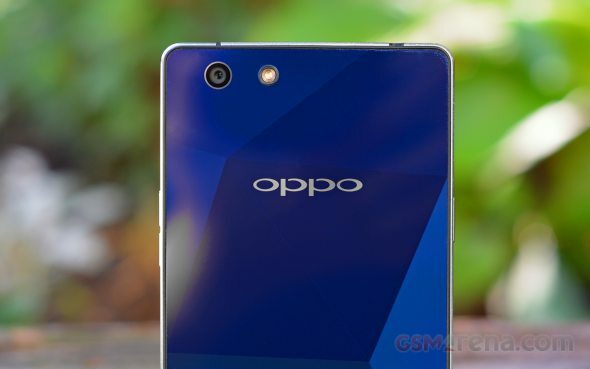 If you're a fan of the brand you have a few other option in Oppo's own lineup too. There's the just unveiled R7, which packs the same chipset, but with 3GB of RAM and an 8MP selfie camera, as well as a more pixel-rich FullHD display. The metal unibody design means it's substantially heavier, despite being thinner and having a smaller capacity 2,320mAh battery. 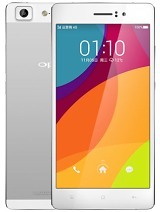 If you're considering the R1x, jealous stares are what you're after, and the Oppo R5 is still good at getting those. Once the record holder for thinnest smartphone, the 4.85mm-thick device has a larger 5.2-inch 1080p screen over the R1x but is otherwise similarly equipped. It is 25g heavier though, and battery capacity was sacrificed in the push for slimness. We'd understand if you put up with the price tag and go for the Oppo R1x - it's a beautiful device and a reasonably capable phone overall. The truth, however, is that you can have more speed, screen resolution and extra features for the same amount of money. Obviously, Oppo doesn't encourage you to choose sensibly and matter-of-factly. It has to be emotional. Will it be mutual? As far as extra items go, the phone has thin screen protectors pre-applied on both the front and rear, but there are no spares bundled. What you'll also find in the box is a frosted plastic bumper case to protect the back and the sides.